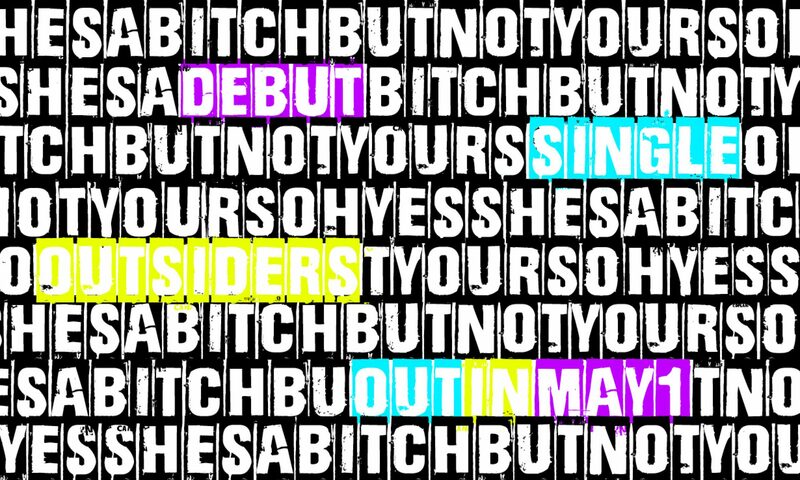 I want to continue with Outsiders music video as I have so many amazing people to introduce you to! Now we'll continue with our fabulous visual team! We could have never made such an energetic and fully finished video without the exceptional group of talents we had on board. I knew there was no way I’d be able to do the styling for such a big group of people by myself. Some years ago I met this super cool and talented stylist Johannes Heiskanen, who by the way is also one of the best drag artists in Finland. I first made an inspiration board for the styling and he totally worked it through. Johannes brought his own personality into many of the dancers outfits making them to a next level. He for example added the black waist belt for my runway outfit and I totally loved the final result. I might have said a couple of times that when Johannes meets Hanna, my hair and makeup goddess, the two will end up being bf’s immediately. Hanna is one of the few people who instantly lifts the spirit in the room, but she’s also the most talented person I know what comes to hair and makeup. Hanna made the look for my runway outfit and it was so nice! She also helped many of the performers with their looks and did it in a very short time! Meri Kuikka joined our team for the set decorating. Meri is a very imaginative and artistic person so I knew straight away that she would make the most out of that space. There was four of us making the paper strings for one full evening and Meri put them to the ceiling before the set. Paper strings instantly brought warmer feeling to the space and devided the runway from the rest of the area. Great job Meri! On the next posts I’ll tell you even more about the amazing people who made the Outsiders music video happen! Drop me a comment if there’s something you’d really like to read about or put thumbs up if this is a good way to go! I hope you also like our Facebook page, follow us on Instagram and Twitter and help us on our way to spread the love! Here’s the video if you haven’t seen it yet! <3 Tell me what you think!